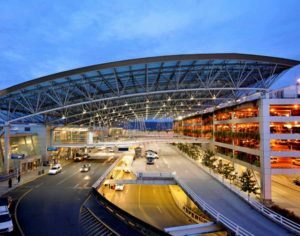 Portland International Airport scored the highest in satisfaction among large US airports for the second consecutive year by the North America Airport Satisfaction Study, with a score of 786, followed by Tampa International Airport (775) and Las Vegas McCarran Airport (759). Indianapolis International Airport was the top-ranked medium-sized airport with a score of 794; Buffalo Niagara International Airport (791) was second, and Fort Meyers/Southwest Florida International Airport (790) was third. The improvements in satisfaction scores came as airports are experiencing annual increases in traveller volume of 5 to 6pc. The ongoing reconstruction of New York’s LaGuardia International Airport was linked to a 6-percent decline in JD Powers’ satisfaction score in 2016. The completion of the redesign of Los Angeles International Airport’s Terminal 2 in February 2016 was credited with a 32-point increase in LAX’s satisfaction score. Passenger volume is rising, but so is satisfaction with the airport experience, even though many airports are handling far more travellers than they were built to accommodate, according to the Satisfaction Study. The annual survey found a five point increase in overall traveller satisfaction with large airports compared to 2015 (to 731 on a 1,000-point scale), and an 8-point rise for medium-sized airports, which received an average satisfaction score of 760.